Tipton County Paws and Claws: 'Tis the Season to Neuter your Pets! 'Tis the Season to Neuter your Pets! Help us make this festive season even better by getting your pets spayed and neutered, and we'll prevent the spring over-flow of Tipton County Animal Shelter. If you need help getting your pet fixed, please contact us. If you'd like to help fund our efforts, please donate! 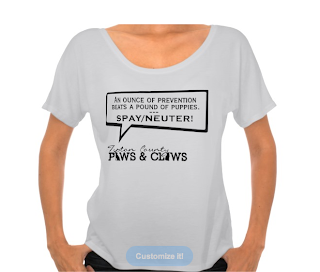 You can spread the spay/neuter word wearing one of our cute tees! go directly towards helping the animals of Tipton County.